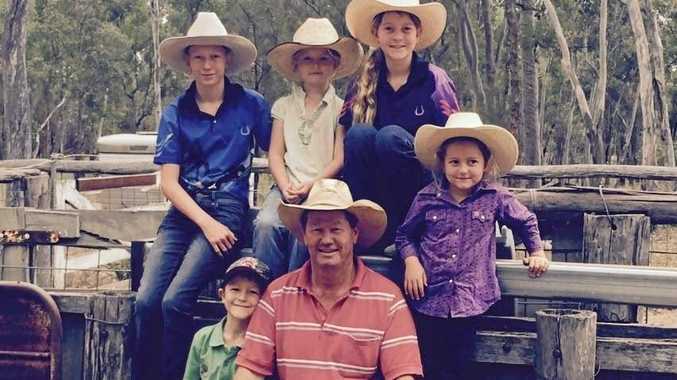 CLOSE CALL: Maddox Porter's left hand was severely injured in an accident on his family's property in Gatton on Easter Sunday. A TIMELY intervention from the skies made all the difference for young Maddox Porter and his family. Alongside his little brother Ashton, he was sitting on a ride-on lawnmower driven by their mother Shelley on Easter Sunday when they hit a bump. He tumbled off the mower and his left hand was severely injured after it got caught under the blades. While on their way back from completing another mission in Toowoomba, Maddox was swiftly airlifted by RACQ LifeFlight Rescue from the family property in Gatton to the Lady Cilento Children's Hospital. "It's pretty simple. If they hadn't have come, Maddox wouldn't have a hand," Shelley said. In the months since, the seven-year-old has undergone so many surgeries his parents have lost count, and he undergoes regular occupational therapy and daily exercises to rehabilitate his hand. "He's good mentally, it doesn't seem to have worried him too much," father Michael said. "He's more or less accepted that his hand is a little bit different. He's just getting on with it being a seven-year-old." The Porters know without the intervention of the helicopter rescue team, the result would have been very different for their son. The family has been collecting donations to cover the approximate $12,000 it costs to complete a single LifeFlight Rescue, collecting just more than $9000 so far. Maddox is missing fingers and a thumb on his injured hand and doctors won't operate again until early next year. His specialist is hoping to give him a thumb one day but they have to assess how the rest of his hand heals in the meantime. "Whether he will end up with full movement, we just have to wait and see," Shelley said. "They actually removed his fibula - his entire fibula from his leg - and that's what they've used to rebuild the top of his hand, so they really need to see how that bone is going to grow in his hand. "They told us from day one that it was going to be a really slow process, so we just have to take it as it comes." 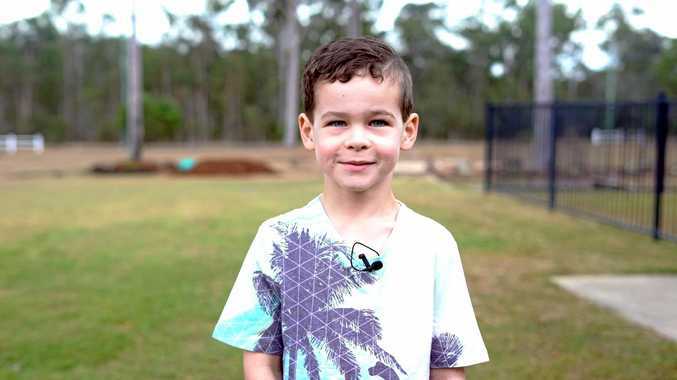 The youngster keeps himself busy riding bikes, playing with Nerf guns, building Lego and playing with mates and recently started riding at a BMX club in Toowoomba. The family also credited the huge support from the team at Lady Cilento and Our Lady of Good Counsel, where Maddox is in year one. The Porters attended the 'Behind the Hangar Doors' Ball on September 1, to check out the opening of the Clive Berghofer LifeFlight Centre in Toowoomba.